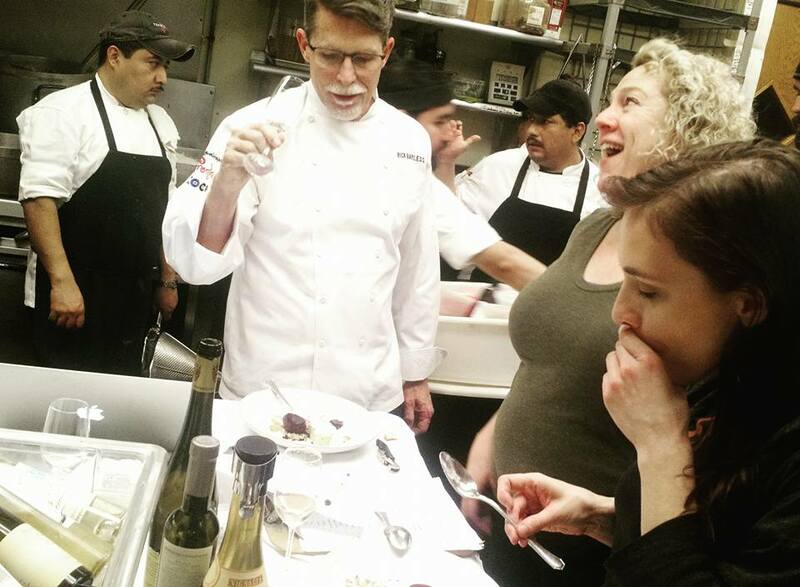 One of Chicago‘s most popular dining institutions, Topolobampo helmed by celebrity chef Rick Bayless, has been crowned the most outstanding restaurant in the US at an awards ceremony that’s billed as the Oscars of the culinary world. Winners of the James Beard Foundation Awards were announced at a ceremony out of Chicago Monday, which recognizes the top chefs, restaurants, and restaurateurs across the US. Twenty-eight years after opening Topolobampo, which serves inventive, elegant Mexican cuisine, Bayless took to the stage to accept the night’s highest honor — the culinary equivalent of best picture. Sopa Azteca, for instance, is categorized as a “soulful” dish, for its dark, chili-infused broth, wood-grilled chicken, avocado, Jack cheese, cultured cream and masa crisp. Meanwhile, the award for best new restaurant went to New York hotspot Le Coucou helmed by chef Daniel Rose, who launched his career as an expat chef at Spring and La Bourse et la Vie in Paris. Le Coucou is Rose’s first US restaurant which espouses the same culinary philosophy as his Paris eateries, where diners tuck into old-school French classics. Dishes include bistro favorites like sweetbread cooked in cream tarragon, and maitake mushrooms; leeks vinaigrette with hazelnuts; dover sole; and duck breast with foie gras, almonds, kumquats and olives. And in the culinary equivalent of best actor Oscar, chef Michael Solomonov of Philadelphia, was named outstanding chef this year for his Israeli restaurant Zahav which transports guests to Jerusalem via laffa breads baked in wood-fired ovens, hummus and sizzling skewers of meat grilled over charcoal.